We know choosing an eye care provider can be difficult. At Denton Optometry, we never take your trust in us for granted, we are committed to providing professional quality eye care to exceed each patient’s expectations. From the moment you enter our practice to when you leave with your new eyewear, you will be surrounded by friendly faces. 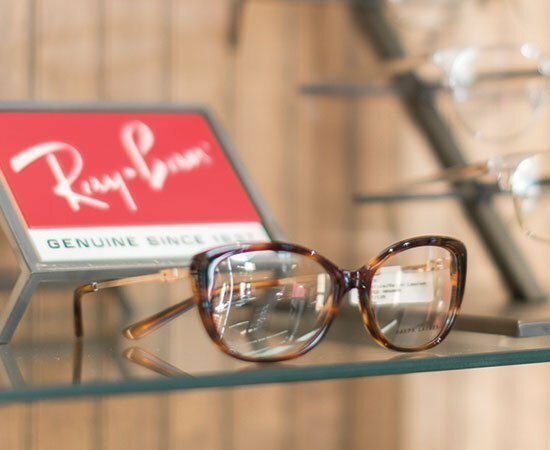 Whether you are visiting for an annual exam, you are having a particular problem, or looking to freshen up your style with a new pair of frames, we’ll make sure to help you with, exactly what you need. Our staff is always happy to answer any questions you might have—you can even text us! Our office is conveniently located off of I-35S, so you can get to us easily and quickly! Two of our staff members speak Spanish, so please let us know if you’d prefer to be helped by one of these staff members! At Denton Optometry, we have invested in state-of-the-art technology that will ensure your eye health and vision needs. Dr. Crader and staff will take the time to get to know you, explain your current vision and eye health condition, and assist you in choosing the best eyewear to suit your needs. We are committed to adding new technologies into our office, like the Optomap Retinal Screening. 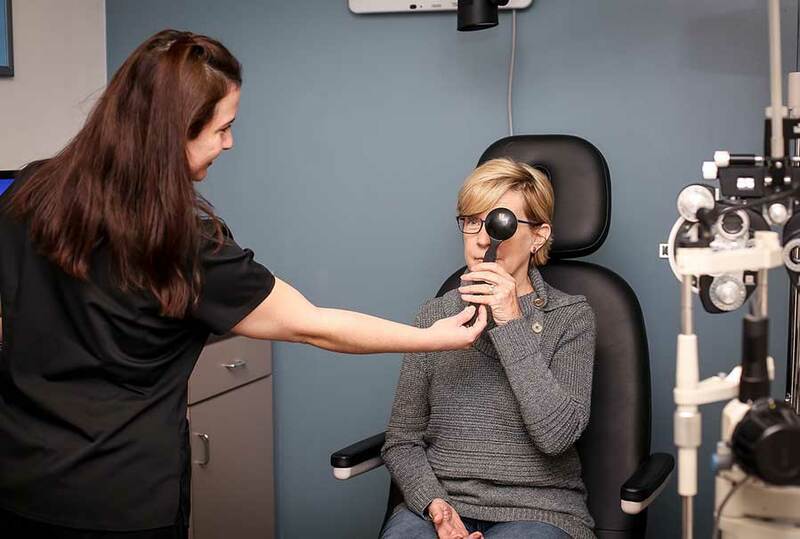 The Optomap helps Dr. Crader view your entire retina, allowing him to assess your eye health and detect any problems early, many times before symptoms even appear. And the best news? In most cases, this scan generally replaces traditional dilation! If you are experiencing, any abnormal vision and or pain and redness, please let us know and we will make sure to schedule you immediately. Your eyes have an important job to do, so why would you settle for anything less than the best vision correction? We offer only the highest quality frames, lenses, and lens coatings, from anti-glare to scratch resistance to blue-light filtering. We stand behind our eyewear—all of our glasses come with a quality warranty, so you can be certain your next pair will be hassle-free. And if you have any trouble at all, we’ll make it right for you. If you need frame adjustments down the road, you can stop by anytime, no appointment necessary. While there is a lot of skill that goes into choosing the perfect pair of glasses, it’s also a bit of an art. Our certified and talented opticians will help you choose a flattering fit that not only suits your style but will also give you the clearest vision with your prescription. Choose from over 500 styles in our showroom, and if we don’t have a particular color or style you’re looking for, we can special order from many more options. If you are ready to try Denton Optometry for yourself, just click the link below to schedule your first appointment. Feel free to reach out with any questions—we’re happy to hear from you.